Oh la la! 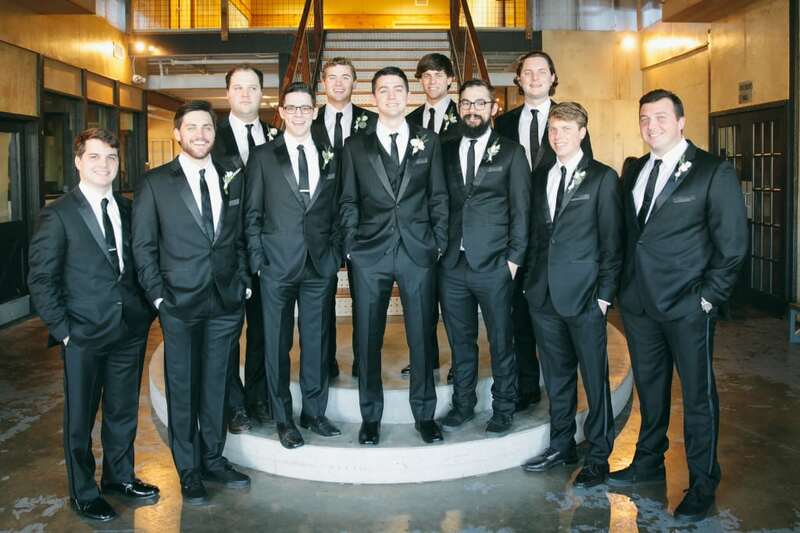 There have been some well dressed men at our recent weddings! Whether your men will be dressed in formal attire or suit and tie, you can gain some inspiration from the best dressed groomsmen in the photos below. 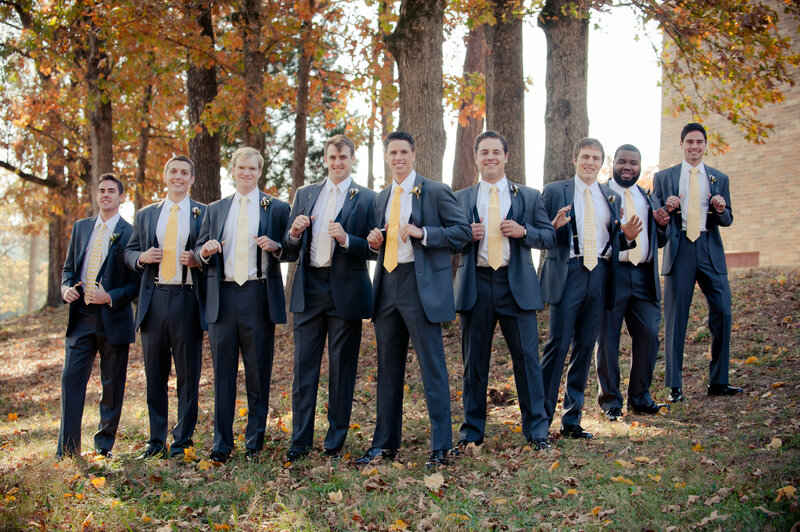 This groom and his groomsmen wore chic gray suits with yellow ties and suspenders to complete their stylish look. 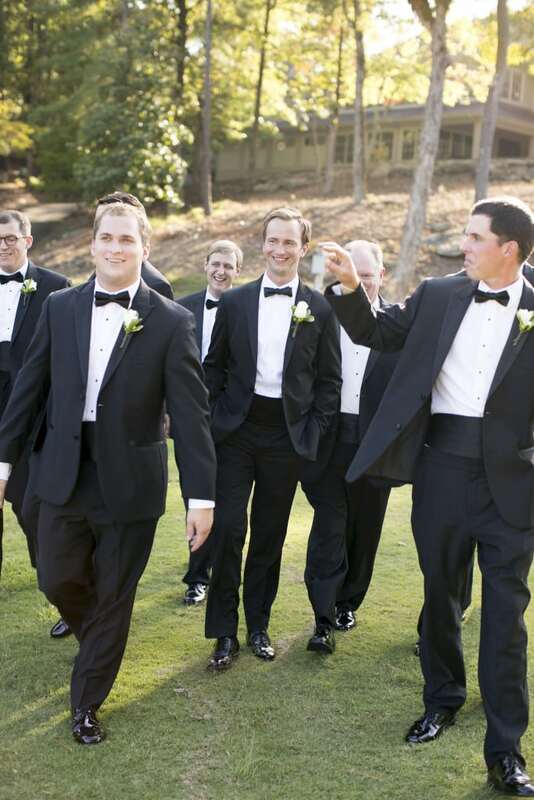 Groom, Adam, opted for more formal attire with tuxedo pants and a classy skinny tie. Look closely . 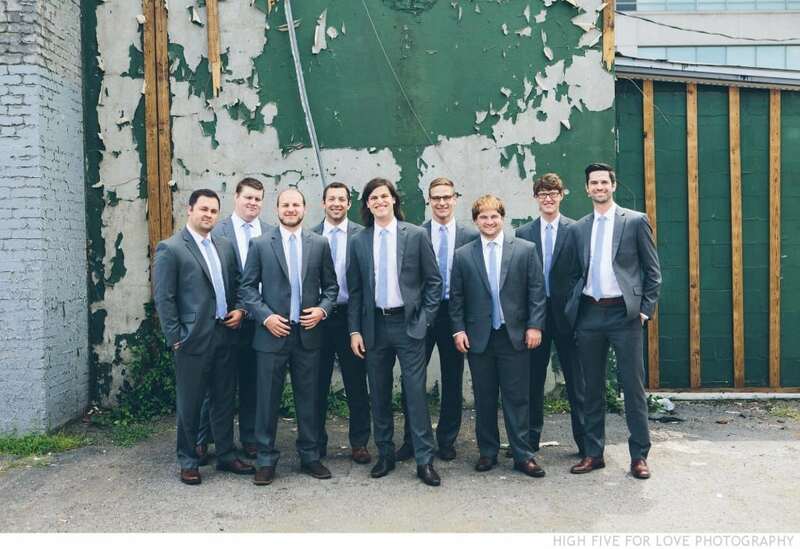 . . can you see where the groomsmen were able to add their own touch? With their shoes! After all, comfort is important for groomsmen too. Matt and his groomsmen also wore tuxedos but they went formal all the way. With bow ties and the classic shinny shoes! The next two grooms decided to go for a stylish suits and fashionable shoes for their wedding day. 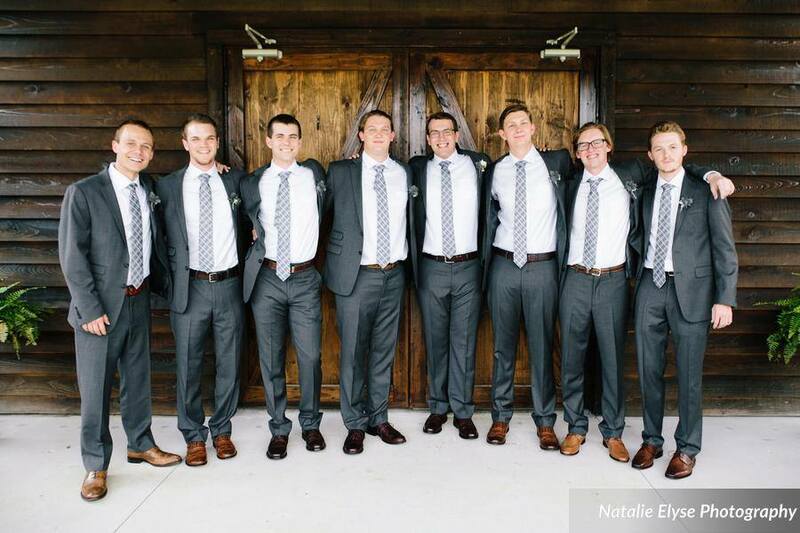 No matter the style you choose for your groom and his groomsmen make sure they are comfortable and they may make a best dressed groomsmen list too! 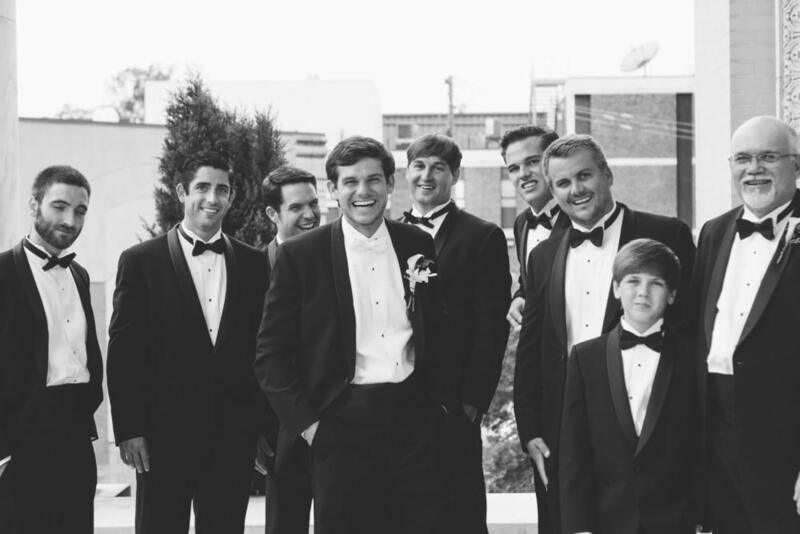 A great place to find your grooms outfit is at Mr. Burch Formal Ware. Decor To Adore, Real Weddings, Tracking Trends. permalink.